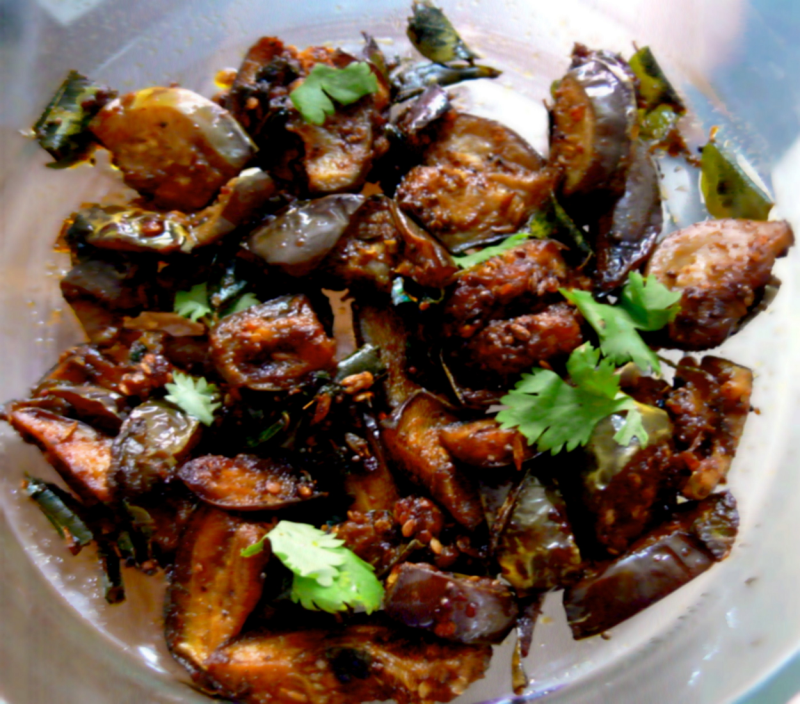 This Roasted Brinjal(Ennai Kathrikkai in Tamil) is a popular dish in Tamil Nadu and this can be done in 8-9 mins time.Try this at home and enjoy this. Take the microwave tray out.Take the tray used for grilling,Grease the tray with 2 tsp refined oil (using a brush). Mix all the ingredients well so that the masala gets evenly spread on brinjal pieces. Spread the brinjal pieces on the grilling tray and grill this for 6 mins. Serve this Roasted Brinjals with Rice and Sambar or Curd Rice. The simplest way to do this recipe is to mix all the ingredients except oil and allow this to marinate for 20 mins and shallow-fry this in hot oil for 5-7 mins,stirring at-times.Otherwise,Heat oil in a kadai and saute the brinjal pieces for 4-5 mins and then add all the other masala,one-by-one and mix well.Saute this till done or till they turn golden brown in colour. Thank you christy a good and easy receipe can have with puri or paratha. without microwave how to do it?